...have a tendency to become invisible without notice. Even the best trained eye can miss seeing one as it comes toward you just as you are making a turn into its path. I was a police officer for nearly forty years and I was the county coroner for eight years and saw way too many serious and sometimes fatal accidents involving invisible motorcycles. I promise you that the motorcycle rider can see you but sometimes it is difficult if not impossible to see a motorcycle coming toward you down the road. 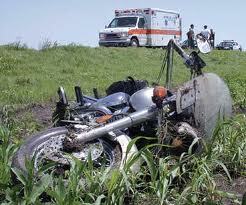 As the sign says, "Be Aware" and be on the lookout for motorcycles. Stop sight seeing and gawking at the mountains and pay attention to the road.